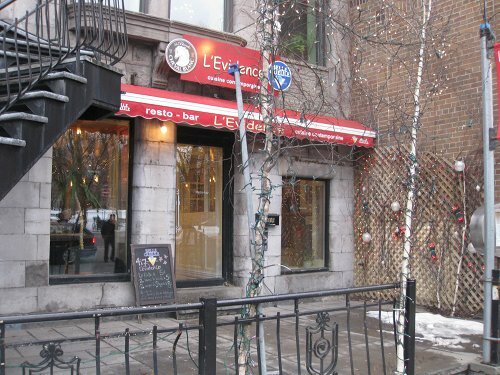 During Festival Montréal en Lumiere we get a chance to get a rare glimpe at some of Montreals restaurants make a brunch menu. 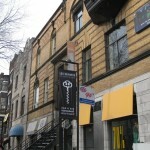 Places like Caviste are more of a dinner restaurant and do not have brunch on their menu except for really rare occasions. With this narrow window to try out brunch at Caviste we booked a table and made sure to see how Caviste would handle brunch. 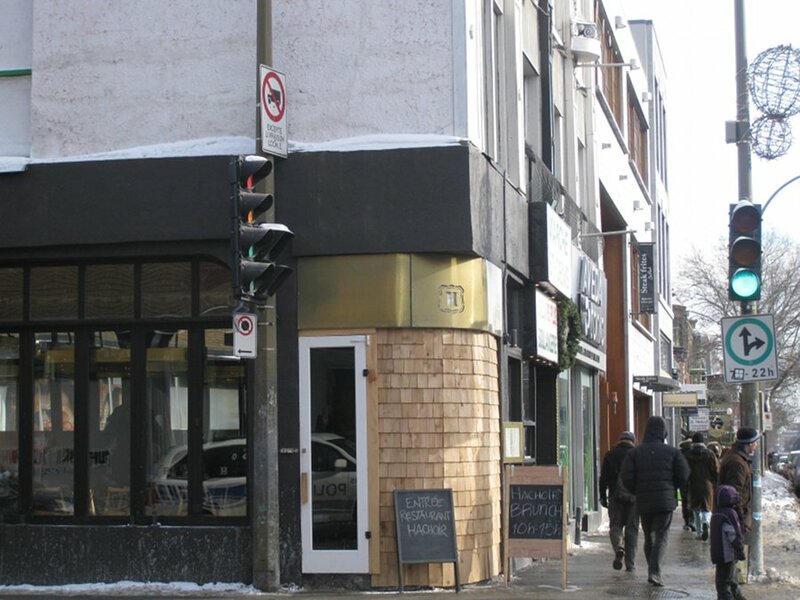 Within the last couple months, Le Hachoir came to Rachel street and replaced the old Cafeo. Almost immediately, foodies started talking. I have some positive chatter on various forums and people I know have definitely had their curiosity peeked. So what better reason to make a trip over? With enough time to reach their stride in terms of service and operation, enough time had passed so a review would be fair. 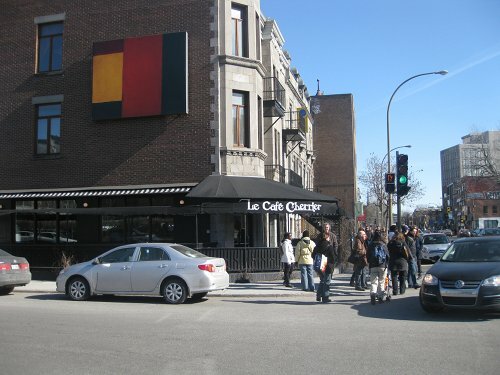 Ever pass by that nice building on St Denis on the corner of Cherrier, you know the one with the nice canapé on it, terrace on the outside and giant painting on the exterior wall? I have and in fact, I’ve been asking myself that question for years. I once almost went inside but it was snowing and I was on the side of the street and the steady flow of traffic was in conflict with my love of jaywalking. But all that aside, I finally made it to the other side of the street to check out what Café Cherrier is all about. 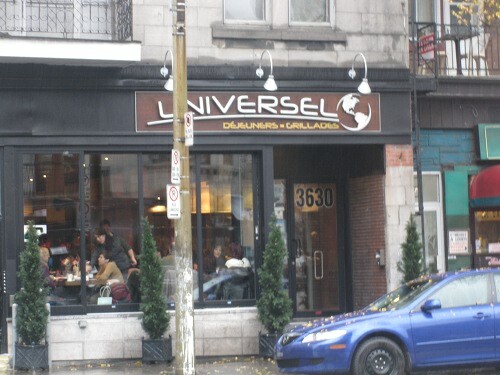 For the longest time I have heard about Universel, a breakfast place on St Denis that seems to have quite a loyal following, similar to some of the popular Mount Royal or Bernard street places. I felt it was only fair to give it a try and see what keeps people coming back to it. I originally found out about this place on some food forums that I follow; it seems to be popular in certain circles but still off of other peoples radars so checking this place out and sharing it with others may be a tasty idea. 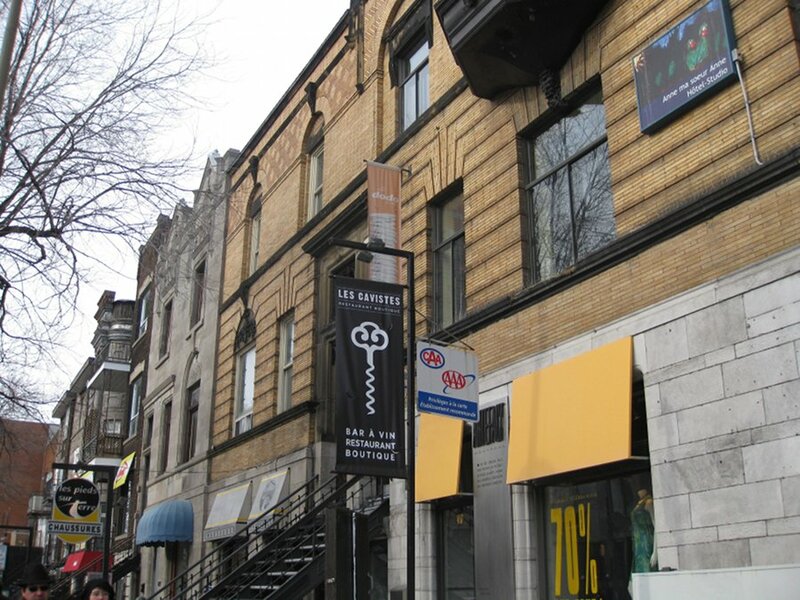 You may have likely walked or driven by this place tons of times, it’s near the Square St Louis park as well as steps away from the Sherbrooke metro. 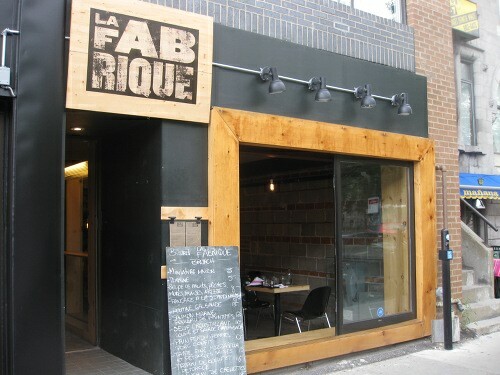 A while ago a friend of mine told me about this place called La Fabrique where the interior is almost as interesting as the food. With its constantly changing menu and interesting and funky approach to cooking combining different flavours and styles, I felt that this would be an interesting place to check out their brunch as well as the main courses. Now, brunch is only offered once a week on Sundays and this makes it difficult for me since I don’t always have time for brunch on Sunday but somehow it happened this week and I had an opening. Unfortunately, it came a day after an article in the gazette had appeared about the place (I knew I shouldn’t have waited all that time). 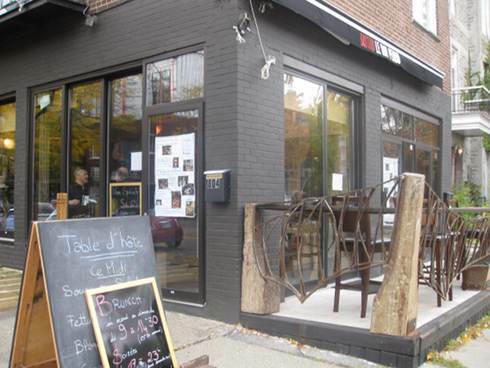 Not to be deterred by not being one of the first ones to write about I was still committed to going and off I went in search of a culinary adventure.